The NRL had no choice but the find Cameron Smith guilty of a grapple tackle. Smith will miss out on the Grand Final providing Melbourne make it which is a hard punishment. It sure will generate controversy but it is better that a finding of “not guilty.” That would have opened the game up to be a grapplethon. But the fact that it got to the finals before a strong message was sent is an example of the NRL’s poor management of this issue. Early in the season, the NRL did try and crack down on the grapple tackle. A few players fronted the judiciary but that was about it. The rest of the season saw a consistent lack of consistency that only aggravated the problem. 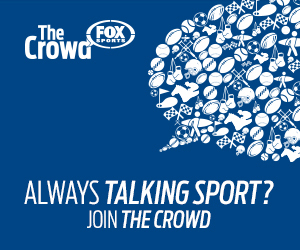 In an excellent discussion on NRL on Fox earlier this evening, Warren Smith (a vocal opponent of the grapple) applauded the NRL but issued a warning. That if the example of Smith is not followed up next season then the NRL will lose all credibility. It is an accurate assesment and I agree with Scott Sattler’s suggestion that anyone using the grapple should be sent to the sin-bin for 10 minutes. Further to that, I’d add in the player being automatically placed on report with a default 2 match ban. Enforcement of such an edict (which is the NRL’s weak point) would soon rid the game of this blight. Cameron Smith is not a bad bloke but he has paid the price for pushing the rules of the game. Let’s hope that the NRL has the moral consistency to make the grapple tackle a relic of the past next season.